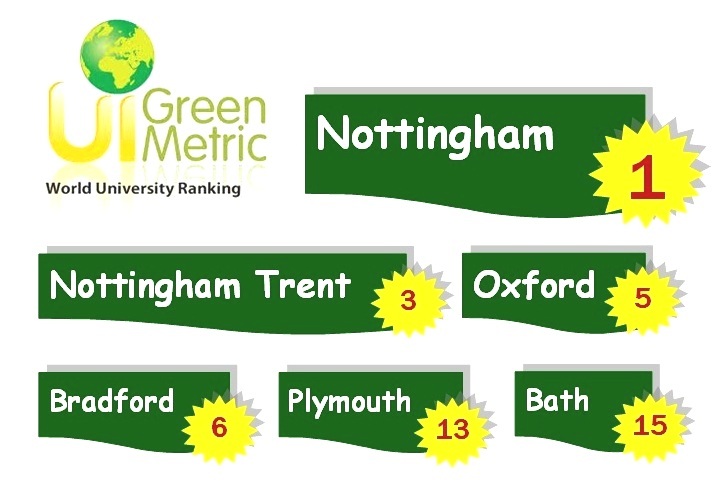 The University of Nottingham has topped UI GreenMetric World University Ranking 2014, which was announced in January 2015. Five other UK universities – Nottingham Trent (3rd), Oxford (5th), Bradford (6th), Plymouth (13th) and Bath (15th) – have made it to the Top 20. 360 universities from 62 countries took part in this Universitas Indonesia (UI) initiative, now in its fifth year. 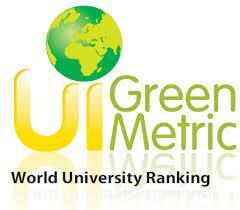 It ranks universities worldwide on the basis of their campus sustainability and environmental management efforts, under six main categories: Green Statistics (15%), Energy and Climate Change (21%), Waste management (18%), Water usage (10%), Transportation (18%) and Education (18%). The Green, Bradford University’s new £40million student accommodation village opened in September 2011, has achieved a BREEAM (Building Research Establishment Environmental Assessment Method) rating of 95.05% – the highest accredited award for sustainable building development and operation. It is also the first BREAAM ‘Outstanding’ student accommodation in the UK.